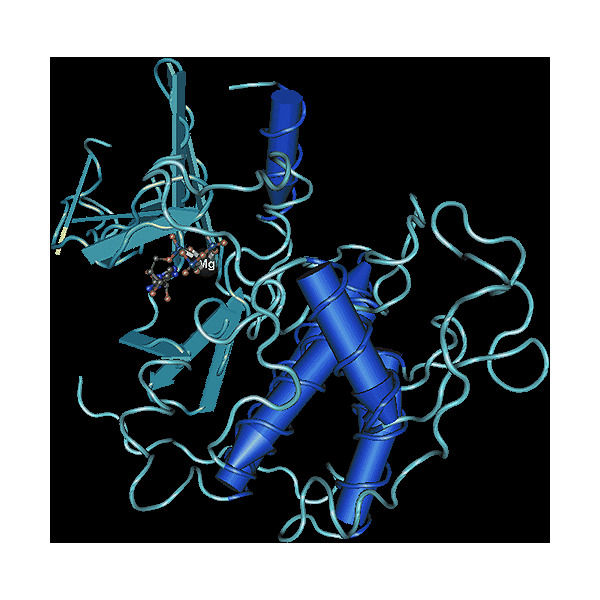 Cdks are the catalytic subunits of serine/threonine protein kinases which are involved in the progression through the cell cycle. The catalytic activity of these kinases requires interaction with cyclins, which are synthesized and degraded during the cell cycle in a cyclical fashion. The synthesis of Cyclin A increases towards the end of the G1 phase. CDK2 associated with cyclin A partly controls DNA replication, phosphorylates proteins required for completion and exit from S phase like the Minichromosome maintenance protein 4 (MCM4), modifies upstream regulators of cyclin A (retinoblastoma protein, E2F) and regulates cell-cycle checkpoint proteins (p53, p21 and MDM2). Recombinant human cyclin-dependent protein kinase CDK2, coexpressed in complex with Cyclin A.